I am assuming that whoever is reading this right now has had a dream before. Am I right? But have you ever had a dream with a person in it whom you have never seen before in your life? It may seem that way, but it is impossible. It is believed that the human brain is incapable of “creating” a new face. Every person you dream of has been someone you have either known personally or merely came across looking through your friend’s Facebook photos. Even those whom you do not consciously notice but still look at as you pass by may be an implanted image in your brain and show up later when you are dreaming. Sigmund Freud is most famous for his definition and study of dreams. He taught about the unconscious and based it on repression and how some ideas and events in one’s life are repressed and brought up later in life. Freud believed in a cycle where these repressed ideas remain in the mind while removed from consciousness. They reappear and become a part of our consciousness only at specific times, for example, in our dreams. What the Freud is Up with Dreams? Ranging from the Eastern Mediterranean in the 7th century, to China in the 16th century, and finally to Europe in the 17th century, dream interpretation has been viewed as a decryption of supernatural communications and symbolic messages. Sigmund Freud, the academically (in)famous founder of the field of psychoanalysis, whole-heartedly supported the hypothesis that dreams contain deeper meaning. He consequently produced one of the seminal works on the subject, quite obviously named, The Interpretation of Dreams. Today, revelatory and efficient techniques, such as MRI and EEG, have far surpassed Freud’s interpretive dream journal methods, and allow scientists to look at dreams from a very different perspective. Although these advancements lend more credibility to the field of oneirology, it is still somewhat tainted by its psychoanalytic past. Some even go as far to say that studying dreams is “academic suicide”. 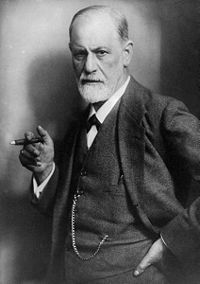 Nevertheless, modern neuroscience has forced Freud’s ideas to the background, making room for new theories of memory consolidation, experience organization, and emotional stabilization. Let's hope he doesn't show up in your dreams. Since dreaming occurs while sleeping, it is no surprise that the sleep cycle, during which the brain experiences patterns of varying electrical activity, has been implicated in dream theories. Each cycle consists of five stages – two stages of light sleep, followed by two stages of deep sleep, and completed with a stage of rapid eye movement sleep (REM). Unfortunately, there is no representative electrical pattern associated with dreaming, but REM and non-REM sleep have both been connected to the brain’s analysis of waking experiences. Pierre Maquet at the University of Liege, Belgium, observed deep non-REM sleep and found that the brain’s electrical activity mimicked the electrical activity elicited during waking experiences. Not only do we replay events in our dreams, but we also seem to process, integrate, and store the information for future use. Robert Stickgold of Harvard University found that those who had non-REM dreams about a task that they were asked to complete, proceeded to do better on it. Stickgold proposes that “non-REM dreaming might be more important for stabilizing and strengthening memories, while REM dreaming reorganizes the way a memory is stored in the brain, allowing you to compare and integrate a new experience with older ones”. On a different, albeit related note, daydreaming activates a part of the brain called the default network. This region has previously been shown to be associated with memory processing. Be sure to mention this to your professor next time you’re caught not paying attention in class. Matt Walker of the University of California acknowledges that dreaming has an important role in memory, but argues that the main function is emotional homeostasis. Walker has found that REM sleep facilitates the strengthening of negative memories. He believes that experiencing the negative emotion in a dream state can diminish the intensity of the emotion, making it easier to deal with. In those with post-traumatic stress disorder, however, this process seems to fail. Boston University’s Patrick McNamara agrees with Walkers’ speculation. He believes that “non-REM dreams help us practice friendly encounters, while REM dreams help us to rehearse threats”. While dreaming, the brain rewires itself and forms new connections. It seems that this curious kind of consciousness does not reveal our secret desires or open windows into our hidden selves, but instead plays an integral role in making us who we are. Sorry, Siggy. To view the original article from New Scientist, click here! Subconscious Security: Our Next Big Life Investment? Have you seen the hit summer movie, Inception, yet? 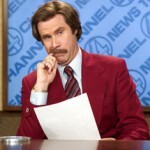 If not, I recommend you to, because it’s mind bottling (Yeah, Anchorman’s Ron Burgundy would approve). Either way though, seen it or not, the movie tweaked my curiosity about the ever-growing interaction between technology and our brains, our minds. In the movie, Leonardo DiCaprio’s character, Cobb, is on a mission to plant an idea into another character’s mind in order to safely, legally, go home to his kids. Cobb and his colleagues use a PASIV (Portable Automated Somnacin IntraVenous) device to access the target’s mind while he is sleeping on an airplane. U nfortunately for Cobb’s team, the target’s mind has what Cobb calls “subconscious security,” trained mental “projections” set up in his mind to protect it from intruders. To implant the idea, they have to find a way around this security, but how? Will they make it? The movie’s a must-see – watch and find out! So, how is this far-off movie-world of inception, dream-sharing, and mind-reading relevant, or worthy of discussion at present? Well, haven’t fMRI results been cluing us in on some of our emotions, conscious or not? In my last post, I discussed how one’s level of empathy correlates with the activity of the ACC (anterior cingulate cortex) as recorded by an fMRI. Whether lab volunteers knew it or not, they (their brains, really) reacted more actively to the pain of those similar to them. And now, with the rapid succession of advancements in brain-imaging technology, mind-reading and even dream-recording does not seem so unrealistic. “Subconscious security” might actually come in handy if our privacy becomes too vulnerable. Recent articles (one and two) discuss how researchers at Northwestern University have discovered technology that can be used to “get inside the mind of a terrorist.” In their experiment, they created a mock terror-attack plan with details known and memorized only by some lab participants. The researchers found a correlation between the participants’ P300 brain waves and their guilty knowledge with “100 percent accuracy,” as J.P. Rosenfeld says. Measuring the waves using electrodes attached to the participants’ scalps, they were able to determine whether they had prior knowledge of, or strong familiarity with, certain dates, places, times, etc. While TIME writer Eben Harrell notes the threat this type of experiment has on privacy and its clear limitations (“confounding factors” such as familiarity, not because of guilty knowledge but of fond memories, i.e. a hometown), he also notes that interrogations can be more detrimental than these experiments. Accuracy can be improved upon simply by presenting more details to participants. In her 2008 article, Celeste Biever tells readers how scientists, particularly Yukiyasi Kamitani and his colleagues, have come to analyze brain scans and reconstruct images the lab volunteers had seen in their mind. The scientists believe their work has potential to improve reconstructions to finer focus and even color. John-Dylan Haynes of the Max Planck Institute in Germany, referred to in Biever’s article, says that the “next step is to find out if it is possible to image things that people are thinking of.” He even considers the possibility of making “a videotape of a dream” in the near future. For now though, the advertising approaches using this technology seem innocent enough. 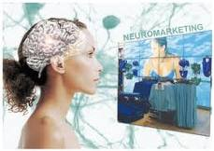 With EEG machines, advertisers can determine which designs, words, or advertisements receive certain patterns of brain activity – in other words, receive the most attention from potential buyers. Not only have EEG machines been used by advertisers, but also by sales companies – for both purposes inspiring and not so inspiring. Starting with the latter, some companies (i.e., Mattel, Emotiv) have sold cheap EEG devices to “mainstream consumers,” particularly gamers. One Californian company, NeuroSky, has built an emotion-detecting device, determining, per se, whether one is relaxed or anxious. While not completely necessary or inspiring, devices like these are fascinating. I’d like to see what some device thinks I’m feeling, and how accurate it is. Not only can EEG devices help those with disabilities or paralysis, but prosthetic limbs can also. Professors at the Friedrich Schiller University of Jena, Weiss and Hofmann, discuss in their article that one of their systems allows the brain to “pick up…feedback from the prosthesis as if it was one’s own hand,” easing phantom pain. DARPA (Defense Advanced Research Projects Agency) has allowed prostheses to advance even more than this, aspiring to bring back to wearers the experience of touch. They awarded The Johns Hopkins University Applied Physics Laboratory (APL) over $30 million to “manage and test the Modular Prosthetic Limb (MPL),” which would use a “brain-controlled interface” to perform desired actions. Despite the hurdles along the way (as noted by Andew Nusca in his blog), the lab has released a final design, as described in a reprinted online article. It offers an amazing 22 degrees of motion, weighs the average nine-pound weight of a natural limb and responds to the wearer’s thoughts. While the blooming relationship between technology and the brain has raised ethical questions about privacy and its use, it has also brought hope and awe to people. Maybe, with the seeming innocence of neuro-marketing thus far and the hope inspired by research and development, we won’t need to turn to “subconscious security” just yet. OK, fine, Leonardo DiCaprio’s character from Inception isn’t real, but he does make a valid point. Oneirologists, those who study dreams, have traditionally viewed dreams as uncontrollable streams of sounds and images with the ability to induce a tremendous spectrum of emotion. However, the idea of lucid dreaming has caused the conventional understanding of dreams to collapse. A “lucid dream,” terminology coined by the Dutch psychiatrist Frederik van Eeden, is one in which the sleeper is aware that he or she is dreaming. This example of dissociation is wonderfully paradoxical in that it exhibits components of both waking and dreaming consciousness. An American psychiatrist and dream researcher named Allan Hobson specializes in the quantification of mental events and their corresponding brain activities. Although he vehemently dismisses the idea of hidden meanings in dreams, he has embarked on a search along with other neurobiologists and cognitive scientists to decipher the neurological basis of consci ousness. Hobson hypothesizes that subjects may learn to become lucid, self-awaken, and regulate plot control by intercalating voluntary decisions into the involuntary nature of the dream. The validation of this idea would imply that the mind is capable of experiencing a waking and a dreaming state at the same time. Consequently, Hobson states, “…it may be possible to measure the physiological correlates of three conscious states, waking, non-lucid dreaming, and lucid dreaming in the laboratory.” If there is a psychological distinction between the three, there should also be a physiological difference. The advent of lucid dreaming experimentation has not only benefitted Hollywood, but it has also provided possible treatment options for those hindered by frequent nightmares or post-traumatic stress disorder (PTSD). Methodologically speaking, the study of lucid dreaming presents a formidable challenge, but it is becoming an important component of the cognitive neurosciences. Josefin Gavie and Antti Revonsuo have built on Hobson’s theories by proposing a technique termed lucid dreaming treatment (LDT). The key to this treatment is that the subject learns how to identify cues that facilitate lucidity during a dream, and the subject learns to manipulate the environment once lucidity is attained. The phenomenon of lucidity may prove to be a useful device in that it offers the sleeper a method to control components of the dream – altering and diminishing any threatening situation. Although the investigation of LDT is extremely new and incontestably controversial, it has shown promising preliminary results in its ability to lower the frequency of nightmares in the selected subjects.